Full range of Hipp Baby Milk available to buy online. 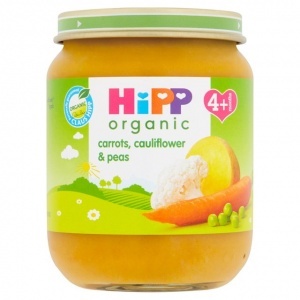 HiPP Organic products should be enjoyed as part of a varied and balanced weaning diet. The Finest Ingredients are picked at the peak of ripeness & individually steam cooked to give you delicious baby food bursting with goodness & flavour. HiPP Organic guarantees the highest quality and exceeds EU organic standards. Whilst we take every care to ensure this product information is correct, products are continually being developed or reformulated, so the ingredients, allergy advice, use and storage content may change. For safety please always read the product and use instructions labels before use and not rely solely on information provided on our website. Although every care is regularly taken regarding product information, Expat Essentials is unable to accept any liability for any inadvertent incorrect information. This does not affect your statutory rights. This information is supplied for personal use only, and may not be reproduced without the prior agreement of Expat Essentials. Once opened, replace cap, keep refrigerated, use within 24 hours. Best before end. See side of cap. Stir contents of jar using a plastic spoon, put required amount into a clean bowl. Serve at room temperature or stand bowl in hot water to warm (if using a microwave, take great care as hot spots can occur). Always check temperature of food before feeding. For advice on when to start weaning consult your Health Visitor. This product left our factory in a faultless condition - please ensure that the jar and the cap are undamaged before feeding. Please note: this product contains no artificial colours, but the natural ingredients may cause staining of clothes and occasionally an orange tinge to the skin.